Lactose is a sugar carbohydrate found exclusively in animal milk products such as milk, yogurt, cheese, and ice cream. Lactose digestion requires the enzyme lactase in order to break down lactose into smaller simple sugars for absorption. All human babies have lactase enzyme in order to digest their mother’s milk, but the enzyme usually decreases by around age 5. The lack of this enzyme and therefore the inability to properly digest lactose-containing foods triggers symptoms including diarrhea, stomach pain, and bloating. Certain populations have maintained the lactase enzyme, thus allowing them to consume dairy foods as an important food source. Essentially, maintaining the enzyme is a genetic mutation that became advantageous for survival. Northern Europeans as well as descendants from certain parts of Africa, the Middle East, and central Asia continue to express the enzyme lactase into adulthood. Studies show that some populations, including African Americans and those of Asian descent, are almost all lactose intolerant. Indeed, lactose intolerance is probably one of the most prevalent food intolerances worldwide. Dairy is most definitely one of the first foods to consider when looking at potential sources of food intolerances. Even some people who are lactose tolerant can sometimes experience symptoms of lactose intolerance under certain circumstances. For example, normally lactose tolerant athletes might experience lactose intolerance symptoms because of irritants, antibiotic use, stress, celiac disease, normal fluctuations in gut flora, food poisoning, stomach bugs, or tough workouts that irritate the gut. While the nutrient profile of chocolate milk makes it a good recovery drink, it shouldn’t be a surprise for athletes that drinking chocolate milk right after a tough workout might lead to lactose intolerance symptoms—even if they can normally drink milk without any issues. Lactose dose is relevant, too. Levels of lactose vary among dairy foods. 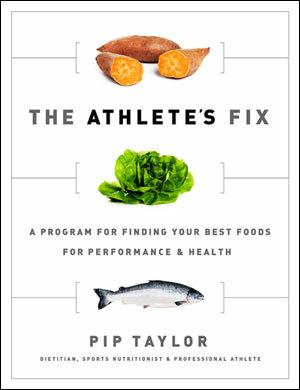 For more on this most common food intolerance, see The Athlete’s Fix.